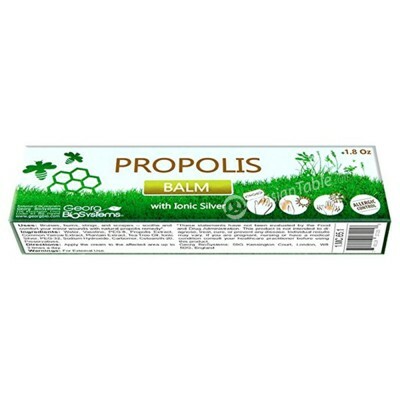 Propolis Balm with Ionic Silver 30g/1 Oz buy for 6.9900 in store RussianTable with delivery. Manufacture dates as well as Expiration dates indicated on the package are in European format which is DD/MM/YY. Do you have any questions about Propolis Balm with Ionic Silver 30g/1 Oz?